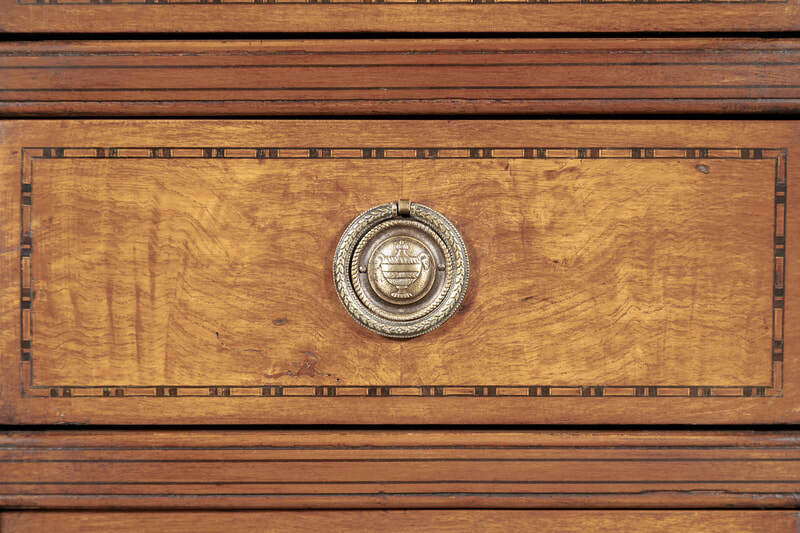 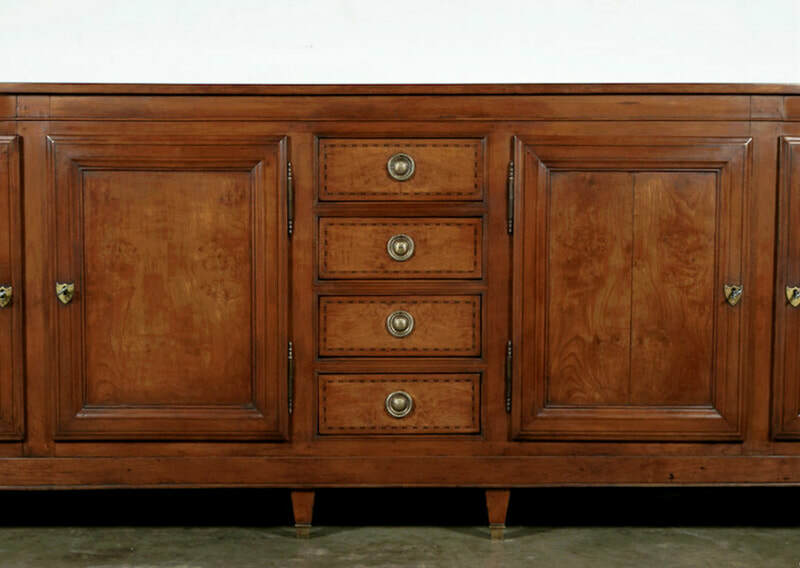 A grand scale 18th century Louis XVI period enfilade handcrafted of cherrywood and burled chestnut with fruitwood inlay by skilled artisans in Provence. 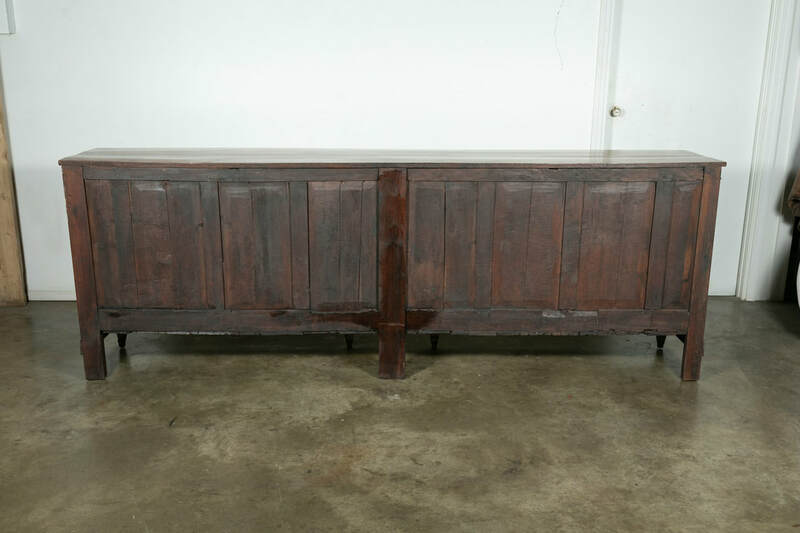 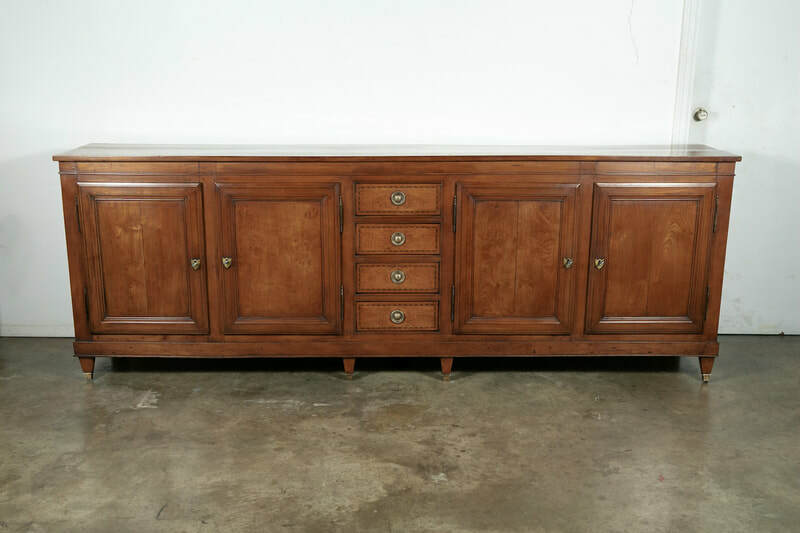 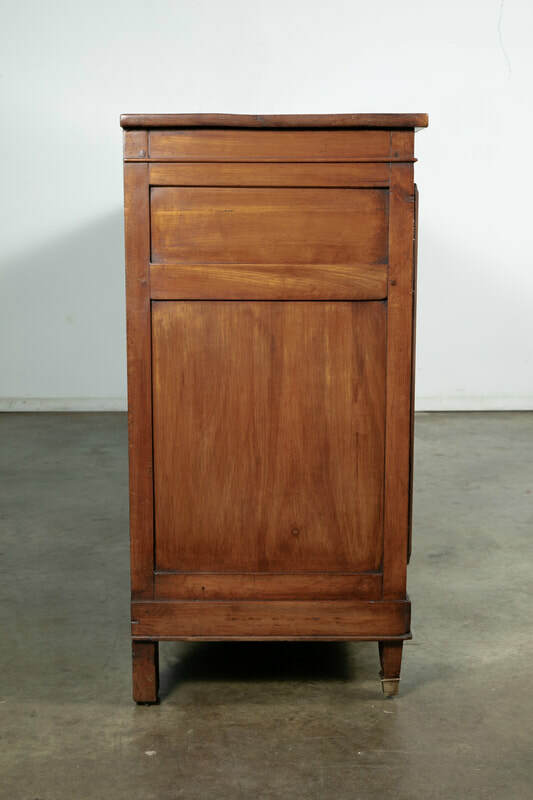 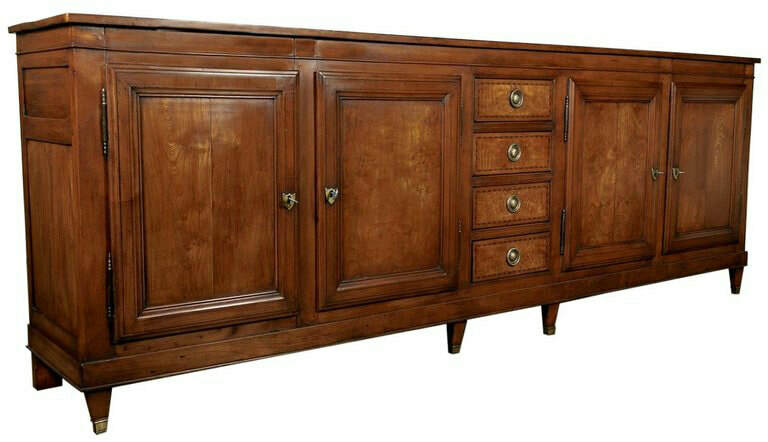 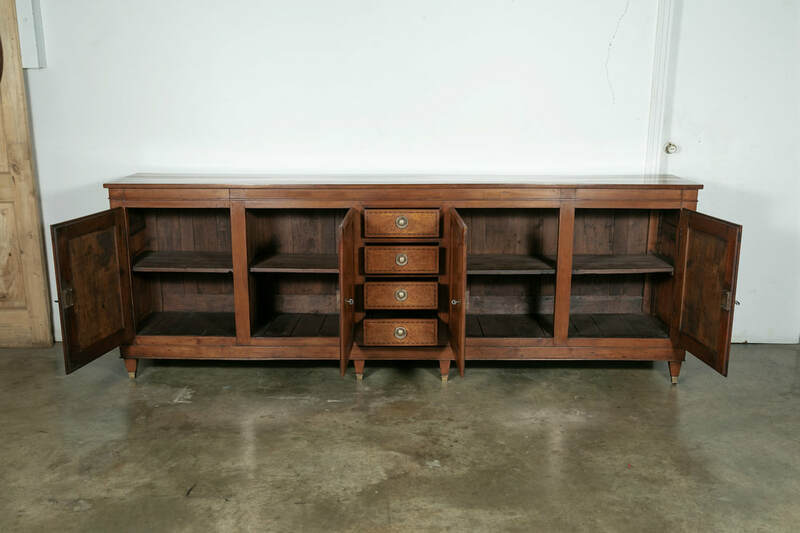 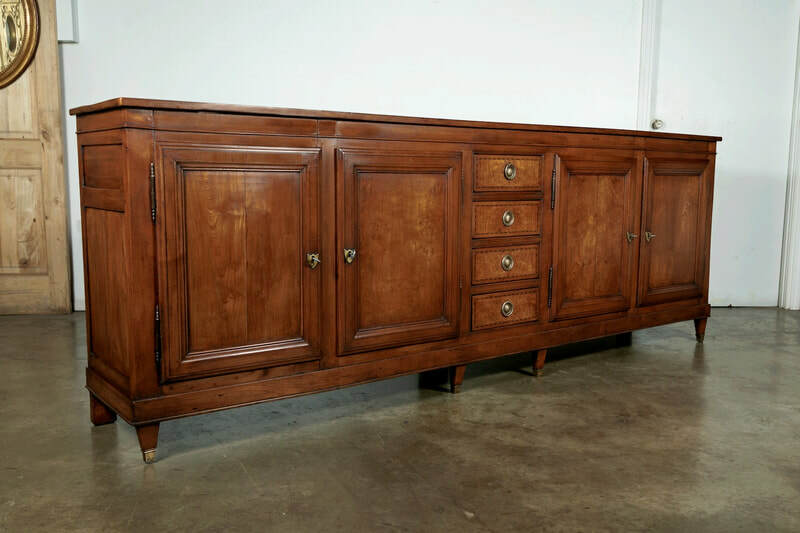 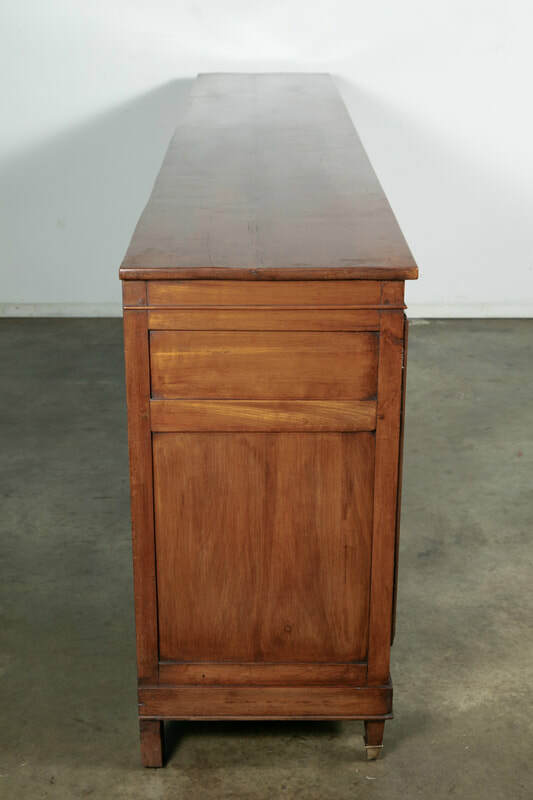 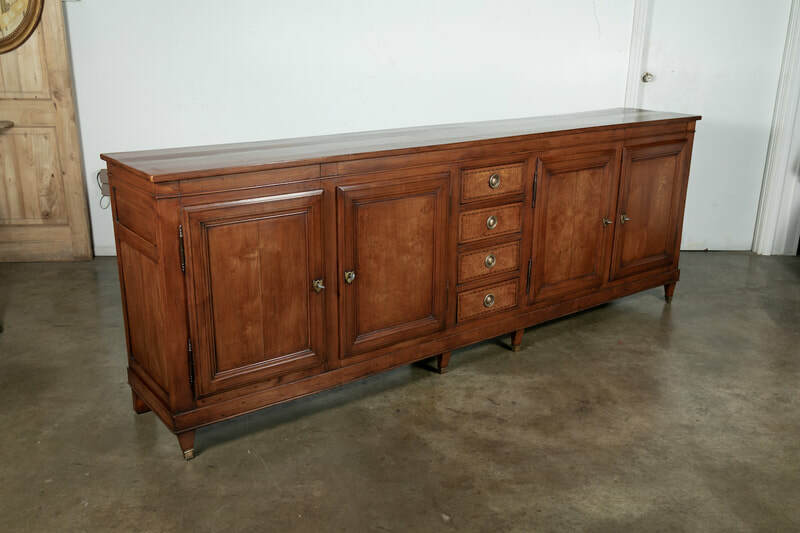 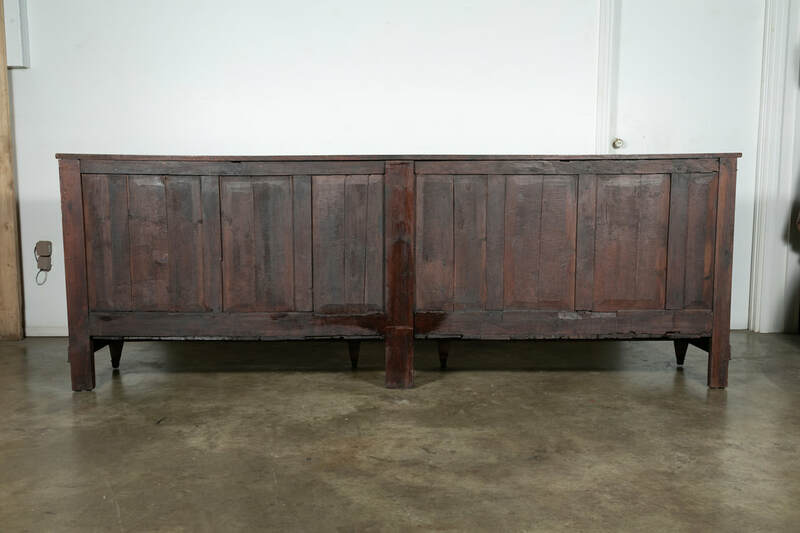 This exceptional buffet is almost 9.5 feet long and has a center section comprised of four drawers flanked by two large cabinets with raised panel doors on each side. 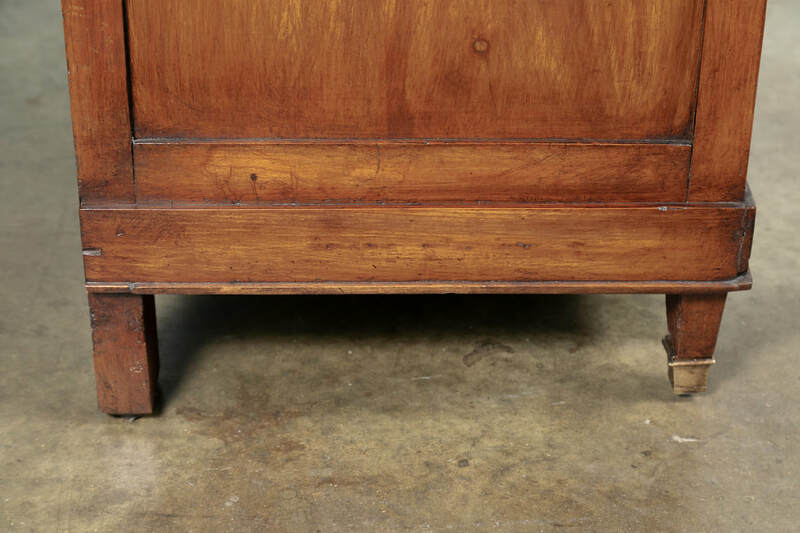 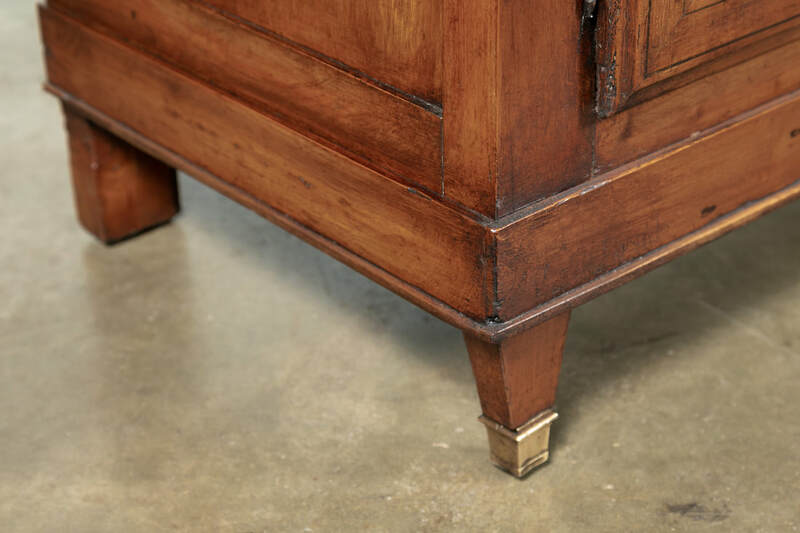 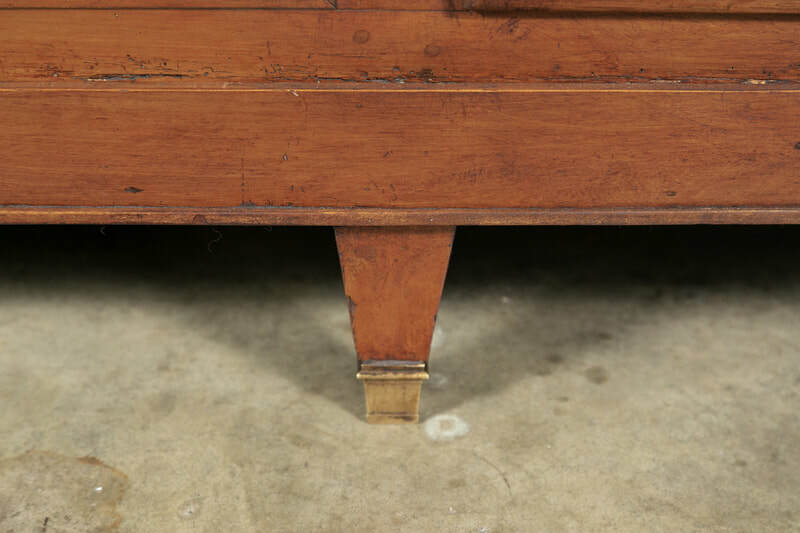 Raised on short tapered feet with brass sabots, the interior reveals a single shelf on each side with ample storage. 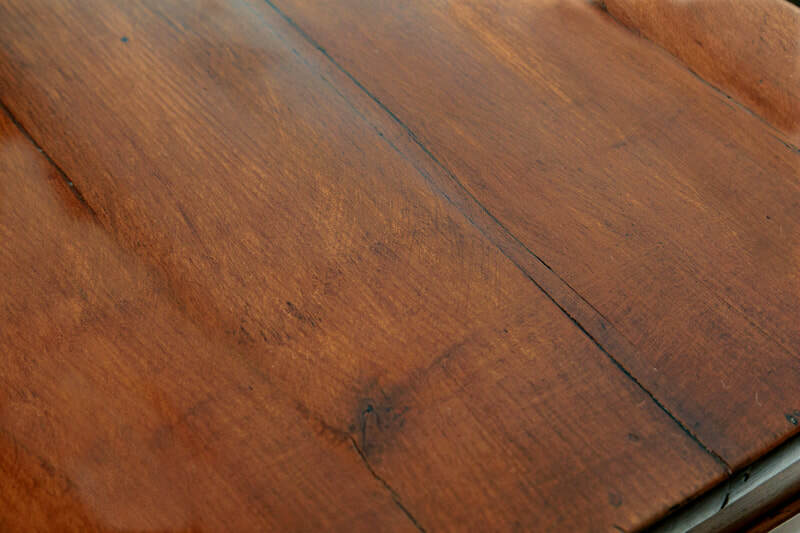 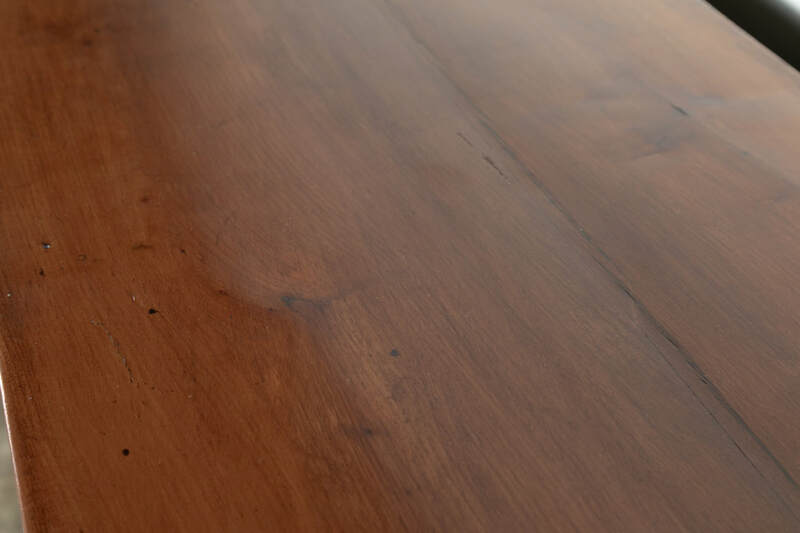 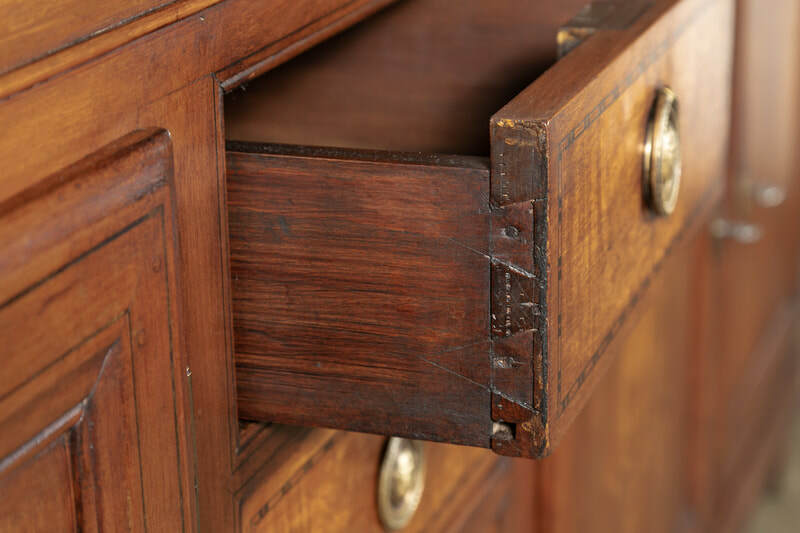 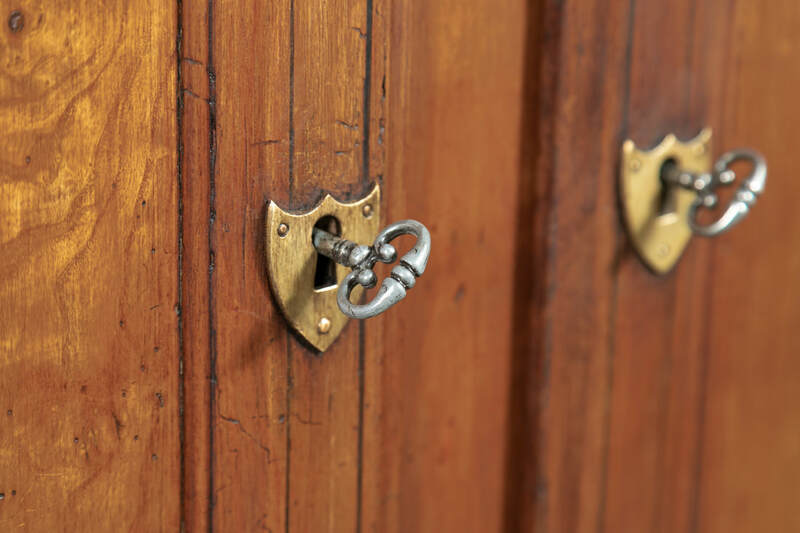 It features a beautiful rich color and patina with original hardware. The clean lines complement both contemporary and traditional interiors. 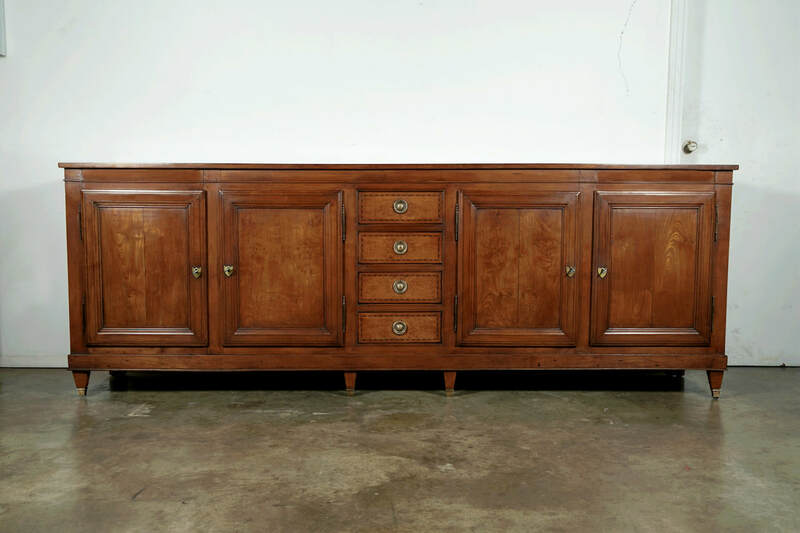 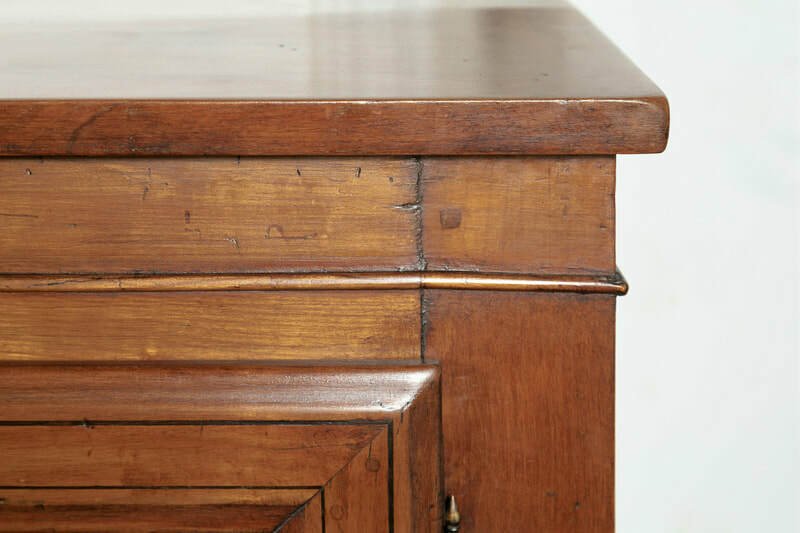 The narrow depth of this grand enfilade makes it a very versatile piece. 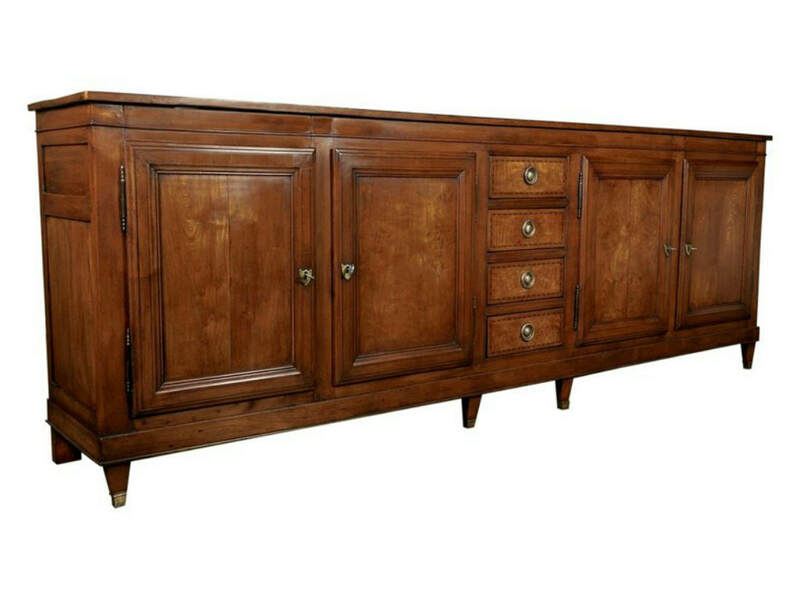 Perfect for a foyer, hallway, dining room, or as a TV cabinet.